ELAROS provides an innovative way of carrying out the initial assessment, diagnosis and triaging of people with bladder conditions. The ELAROS service has been designed to care for people who require long term management and monitoring across a range of conditions. As well as being used in initial assessment and diagnosis, it can be used to efficiently and effectively determine people's responsiveness to different treatment regimes. The ELAROS Event Diary is centred on a hand held recording device that enables people to monitor their own health both at home and on the move safely and discreetly. This information is analysed providing an immediate clinical diagnosis and recommended clinical action. 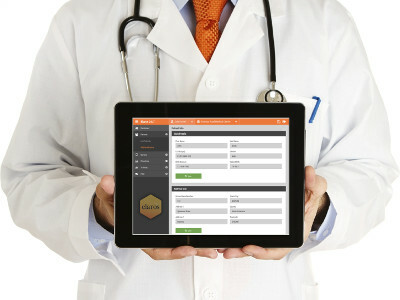 Recording of symptoms by the patient using the device ensures accurate clinical analysis of data resulting in greatly reduced clinical referrals and unnecessary hospital visits. This innovative new way of carrying out initial assessment, diagnosis and triaging of patients with long-term conditions has been specifically designed to be integrated into GP practices, specialist continence providers, community health organisations and acute trusts. The service enhances delivery of the patient pathway and enables compliance with NICE guidelines. Our approach, which has been trialled in different clinical settings, provides immediate, accurate, simple and intuitive clinical direction. At some point in their life 2 out of every 3 adults will have a bladder related problem. Currently 5 million people over the age of 40 in the UK suffer from a form of bladder difficulty called 'overactive bladder'. Of these sufferers, nearly 750,000 have been prescribed drugs. The ELAROS Event Diary is easy to use for patients of all ages. This simple process of recording information enables the patient to take control and management of bladder issues with dignity. The device is discreet and convenient and the information captured is 100% secure. Using the device enables the patient to keep an accurate up to date bladder diary wherever they are. 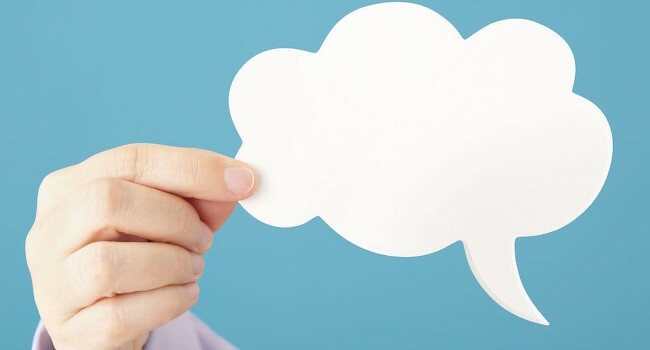 The information gathered from the handheld device is uploaded remotely to the cloud which provides an immediate clinical diagnosis and recommended clinical action. 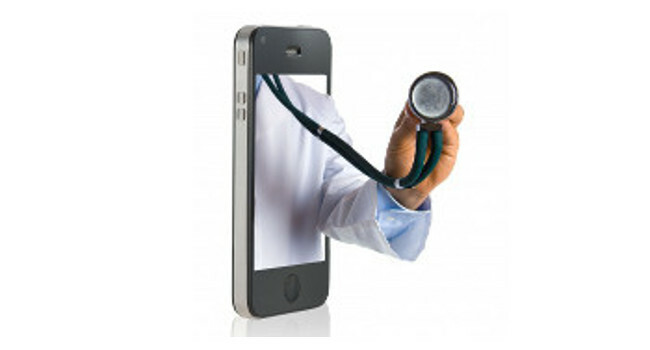 The system also produces lifestyle alerts to help patients manage their own condition. With this comes the reduced need for patients to go back and forth to their GP and cuts out inappropriate and unnecessary referrals to hospitals. The time taken to diagnose and treat a patient's symptoms is cut reducing anxiety for the patient and offering quick relief from symptoms that may have had a significant emotional impact on their life. The company, incubated by NHS organisations, represents a breakthrough, not only in terms of the innovative nature of its service model, but also in its partnership approach that brings together the NHS, the academic community and industry. - Devices for Dignity is a NIHR Healthcare Technology Co-operative set up to drive forward innovative new products, processes and services to support people with long-term conditions, preserving their dignity and independence. - Medipex Ltd and NHS Innovations North are the UK NHS Innovation Hubs for Yorkshire & Humber and the North East Region. Their mission is to facilitate the development of services/products that cut costs and improve patient care. 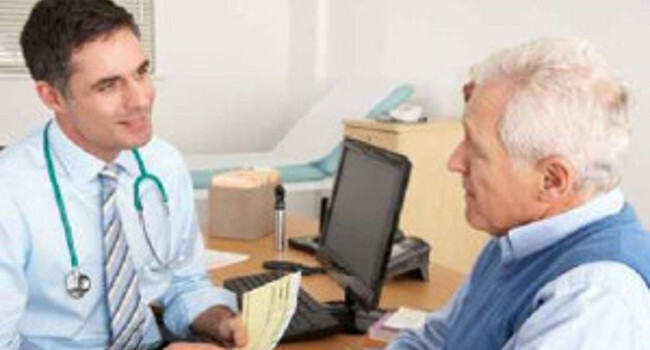 - Sheffield Teaching Hospital NHS Foundation Trust provides the clinical direction for ELAROS. Professor Paul O' Brien was appointed CEO of Elaros 24/7 in April 2012. Paul has held senior posts in the private sector (Chief Executive), local government (Chief Officer), health (Director in West Essex NHS Trust) and education (Head of Department). He has previous venture start-up experience having established the Essex Development and Regeneration Agency with a turnover of £8.5 million and funds under management of £15 million - employing 60 planners, economists, surveyors, bid writers and fund managers. He has extensive experience of public sector transformation having externalised a local government service and more recently the externalisation of a £33 Million NHS Service. Paul also has broad non-executive board experience gained over a 15 year period and has completed the Institute of Directors Diploma in Company Direction. He is a visiting lecturer to the University of Surrey on its MBA & MSc Entrepreneurship programmes. Professor Christopher Chapple is a Consultant Urological Surgeon at Sheffield Teaching Hospitals and Visiting Professor at Sheffield Hallam University. He has a particular interest in functional reconstruction of the lower urinary tract and the underlying pharmacological control mechanisms and provides a tertiary service in lower urinary tract reconstructive surgery. He trained at the Middlesex Hospital where he subsequently completed his doctorate thesis, and continued there and at the Institute of Urology in London for his sub-specialist training. He is Chairman of the International Relations Committee at the European Association of Urology, having previously been the Adjunct Secretary General responsible for Education and Past Director of the European School of Urology. He is editor-in-chief of the journal Neurourology and Urodynamics and is on the editorial board of several journals such as the British Journal of Urology, European Urology, Surgery and Current Opinion in Urology. He is an active member of many international urological associations and societies including the British Association of Urological Surgeons, the European Association of Urology, the International Continence Society, the Association of Academic European Urologists and the American Association of Genitourinary Surgeons. He has chaired a number of guidelines initiatives including the NICE Guidelines Development Group on male lower urinary tract symptoms. He was awarded the St Peter’s medal by the British Association of Urological Surgeons in 2011. Professor Chapple has co-authored over 350 articles in peer-reviewed Journals and has written several books and a number of book chapters. 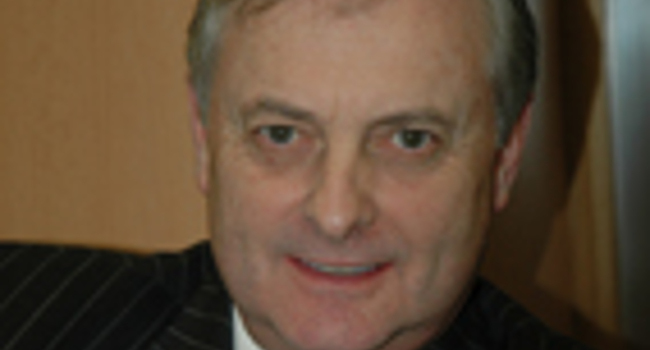 Peter Cunliffe qualified as a Chartered Accountant in 1983, having trained in Birmingham with one of the then ‘Big 4’ accountancy firms, Deloitte Haskins and Sells. Since qualifying, Peter has worked in various finance and accounting roles for a wide spectrum of businesses, both in terms of size (£3m up to £1.2bn turnover) and industry sector (including retail, engineering, steel stockholding, laboratory analysis and specialty chemicals). His early positions were in large blue-chip companies, roles which gave him a full understanding of the importance of pertinent, current management information and the need for strict financial disciplines to augment performance and safeguard assets. Recognising that most small companies do not need a full-time financial director, Peter set up Flex FD Ltd in 2004, providing a flexible financial direction service for start-up and early-stage companies, particularly in the life science and healthcare sectors, and has helped raise £7m in funding across 10 businesses. Dr Claire Horton is the Research and Programmes Manager for Elaros Ltd. She has 30 years’ work experience in the biomedical arena, ranging from bench-based biomedical research in academia to late-phase product development in the biopharmaceutical industry (vaccine development). In recent years, Claire has gained significant experience of collaborative research projects, in particular those funded by the European Commission’s Programmes for Research and Innovation (FP7 and H2020). 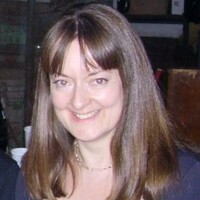 She managed the activities of the communication and dissemination work package for the Nutrimenthe project (Diet and Mental Performance of Children) and gained experience of running FP7 and H2020 projects through the VPH-Share project (Sharing for Healthcare) and the TOPCAPI project (Thoroughly Optimised Production Chassis for Advanced Pharmaceutical Ingredients). Most recently, Claire was the Project Manager for the successful Innovate UK Design Foundations Project, iCARHO (Managing Health and Wellbeing in Care Homes with Digital Solutions). SHEFFIELD (8th April, 2019). Elaros has won funding from Innovate UK to further the development of its innovative digital bladder diary. The bladder diary is a hand-held device designed to help the growing number of men and women in the UK that suffer from bladder problems. This project will place the bladder diary in specialist continence clinics and GP practices to compare the use of the diary with current practice, paper-based diaries. ‘Real world’ data will be collected which will help to fully evaluate the clinical and health economic impact of the diary. Elaros CEO, Professor Paul O’Brien remarked, “This funding will enable Elaros and its partners, to carry-out the work that will enable the final adoption of the diary into general practice, which will reduce the unnecessary, inappropriate and very costly referrals to hospital from GPs”. The diary is registered as a Class 1 medical device and has been evaluated by NICE. SHEFFIELD (25th February, 2019). Elaros is one of 24 companies selected to pitch at the Entrepreneurs of the North competition in London. The competition, now in its third year, brings the best of the North’s entrepreneurs together with active investors based in the South. On 5th March 2019, 24 Northern businesses will showcase their disruptive products and services in a series of short pitches at NatWest’s iconic London base at 250 Bishopsgate. Entrepreneurs of the North is organised by the Innovation SuperNetwork in partnership with the UK Business Angels Association (UKBAA) and British Business Bank. The objective in running this event is to showcase the quality and variety of investment opportunities that exist in the North of England; encouraging out of region investors to invest and co-invest in the North by connecting them to the networks that can make this process easier. The majority of the audience will be active investors, ranging from individual angels to large Venture Capital and Private Equity funds. The remainder will be supporting organisations representing the three Northern regions, British Business Bank and UKBAA. SHEFFIELD (18th February 2019). 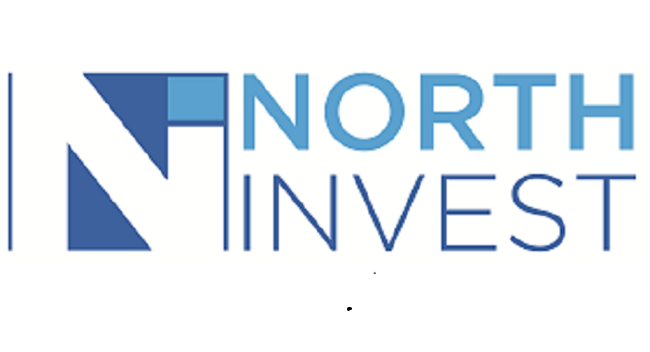 Elaros is delighted to announce its selection by North Invest to be part of the first cohort of investment opportunities in 2019. Elaros will raise £250,000 of investment to scale-up and to take two of its products to market this year and to bring on additional colleagues to support the development of the Company's R&D pipeline. Over the next two weeks Elaros executives will meet with potential investors interested in participating in the Company's third round of investment. Asthma affects 5.4 million people in the UK alone and is managed by administration of medication via an inhaler, often in combination with an asthma spacer device. Currently, asthma spacers are cumbersome and difficult to use, especially for children, so it hoped that the new project will lead to the design of more effective, portable devices that are easier to use. The project will be supervised by Professor Jim Wild and Dr Alberto Marzo and the work will be carried out at the Insigneo Institute for in-silico medicine, at the University of Sheffield. SHEFFIELD (31st January 2019). Students at Sheffield Hallam University built an additional module to one of Elaros’ digital heath products during the University’s annual ‘scrum week’. Scrum week is designed to give second year Software Engineers and Computer Scientists the chance to get involved in solving real world client problems, including agreeing to sign non-disclosure agreements should they be working on commercially sensitive material. This year, Elaros was one of ten organisations that took part. Following on from briefing events with individual clients, nineteen groups of students worked from 9am to 5pm from 14th January to 18th January, then demonstrated their solutions to their clients. Paul O’Brien and Claire Horton from Elaros were very impressed with the solutions developed by their teams. Paul O’Brien, CEO of Elaros remarked, “This is exactly what we hoped for. We would like to congratulate both teams for providing Elaros with code that can be combined and used in our existing system”. Elaros wish both teams good luck in their future studies and look forward to participating in next year’s scrum week. SHEFFIELD (June 1st 2018) – Elaros has recently completed a six-month project looking at how digital technology could be used to help deliver care to people living in care homes. The project, funded for six months by Innovate UK, aimed to identify the factors that should be considered when developing user-friendly technology to help care home staff support the management of the health and wellbeing of their residents. During the project, researchers from iCARHO spoke to care home staff from Care Home Assistants to Managers, to learn more about current working practices for recording the health and well-being of residents and the attitudes of staff to the introduction of digital technology to help them in their day to day activities. 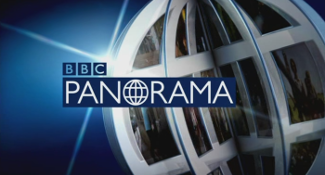 Prof Paul O’Brien, Chief Executive of Elaros commented “we found that none of the staff interviewed used any form of mobile or digital technology in their day to day activities and that records of health and wellbeing, for example what residents eat and drink, were recorded on paper”. Researchers found that even the use of personal computers was limited and that attitudes to the use of digital technology by care home staff were wide ranging from very negative to positive, especially if digital technology could help reduce paperwork. Staff in care homes are aware that “technology is coming” and that it may be not be able to be escaped. 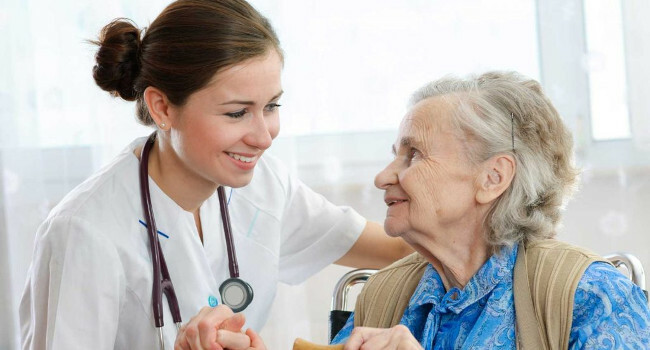 Benefits to moving from paper-based systems to digital systems include, reduction in paperwork, rapid retrieval of information for care homes staff and care home inspectors and the provision of more ‘joined up’ healthcare between care homes and other areas of health service provision. When developing technology for care homes, it should be easy to use, robust and low cost. Frugal innovations that could be added to and rolled-out across a care home group were seen as the way forward. The funding also enabled Elaros and the partners of the iCARHO project to work with a team of dysphagia experts from Sheffield Teaching Hospitals on the development of a digital Care Home Guide to Dysphagia, a condition that affects the ability of many elderly people to eat and drink safely. The Care Home Guide is currently under further development and will be a resource for staff working at care homes, from caterers and care assistants to managers and policy makers. Ben Griffin, Lead Specialist for Design at Innovate UK remarked, “Elaros won funding through Innovate UK's Design Foundations competition, enabling them to carry out rigorous customer research and to collaborate with UK design and user testing experts from the earliest stages of the iCARHO project. By using an iterative, human-centred design process, Elaros have developed an adaptable, fit-for-purpose digital platform with a well-considered user experience”. There are thousands of care homes in the UK catering to an increasing population of elderly residents, each with complex needs. 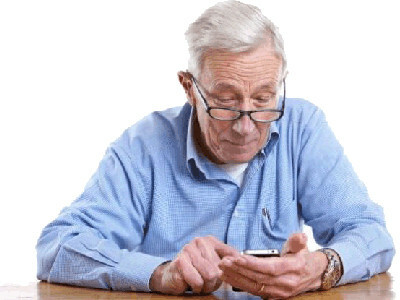 The challenges faced by care homes will continue to grow and the use of digital technology could be a means for helping care homes provide high quality care to their residents. SHEFFIELD (December 10th 2016) – Elaros Ltd is working in partnership with The Children’s Sleep Charity a national award winning charity based in Yorkshire and Sheffield Children’s Hospital on a pioneering approach to support self-management and clinical decision making in primary care, aligned to better utilisation of limited resources in secondary care. Building upon existing technology the team are creating an app designed to take the young person on a journey that will either help resolve their sleep challenge, where this is linked to lifestyle or point to more challenging sleep disorders (and evidence this) where specialist intervention is required. Already enjoying success, the project has become among nine chosen to share a total of £900,000 funding as a result of the latest Small Business Research Initiative for Healthcare (SBRI Healthcare) competition. This competition was delivered in partnership by the Yorkshire & Humber Academic Health Science Network (AHSN) and the Technology Innovation Transforming Child Health (TITCH) Network on behalf of SBRI Healthcare, an NHS England initiative led by the country’s 15 Academic Health Science Networks. With six percent of children in the UK living with disability, ingenious life changing solutions can ensure they have the best start in life. The technologies recognise the importance of encouraging independence and focus on restoring function and providing appropriate support for self-care and remote monitoring. Prof Paul O’Brien, Chief Executive of Elaros, commented “The Board and staff of Elaros are delighted to have won this prestigious competition, which comes as the company starts to develop other products to address unmet clinical needs in areas that have not yet seen the application of the power of digital health. “We are excited to be embarking upon this important project with our partners at Sheffield Children's NHS Foundation Trust, the Children's Sleep Charity and Dr Michael Boyle and believe that our proposed solution will make a significant difference to the lives of families blighted by sleep difficulties. Through the empowerment of families, the Sleep Diary Partnership, led by Elaros, believes that significant saving will be achieved for the NHS through the deployment of our digital solution that will be free at the point of use." SHEFFIELD (November 23rd 2016) – Elaros has today announced the appointment of Carol Nicholson as Director with immediate effect. She succeeds Ailsa Anderson as Board representative of Elaros shareholder RTC North Ltd.
Carol Nicholson is currently Deputy Director of Innovation, Industry and Wealth Creation at North East and North Cumbria Academic Health Science Network (AHSN), where her focus is on business development and wealth creation (commercial and social investment). She engages with industry and innovation suppliers to develop health care solutions that can improve health outcomes for patients and meet local unmet clinical needs. Prior to joining AHSN Carol spent thirty years working in planning and performance management roles across a range of NHS commissioning and provider organisations in England and Wales. 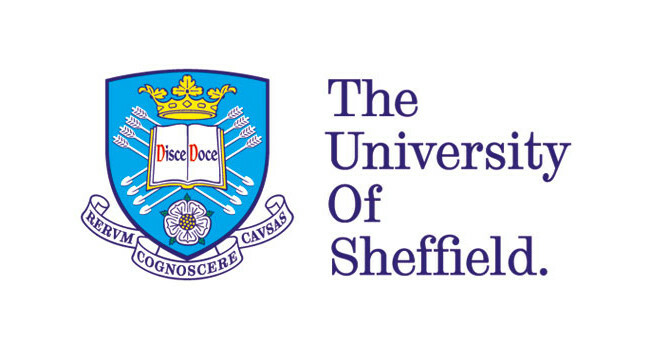 SHEFFIELD (20 June 2016) - Elaros is very pleased to be able to announce that Dr Sue Smith from the University of Sheffield has joined the Company on secondment as New Opportunities Manager. Sue's focus with Elaros will be to support the Company's work with pharma companies by identifying and delivering opportunities through, for example, their open innovation schemes. Sue joins Elaros under the University of Sheffield's Pilot MRC Proximity to Discovery (P2D): Industry Engagement Scheme. Sue manages the Sheffield Healthcare Gateway in the Faculty of Medicine, Dentistry and Health and the small team of business managers developing translational, commercial and knowledge exchange projects with industry. Before taking up her position, Sue spent five years as a Research Translator in the Department of Biomedical Science, Sheffield, and has 7 years experience working in biotech firms in Germany and the US. Sue has a PhD from the European Molecular Biology Laboratory in Heidelberg and a BA (Hons) in Biochemistry from Oxford University. Sue's specialties are: IP identification and development, business development, R&D and translational funding (MRC DPFS, MRC Confidence in Concept, Biomedical Catalyst, Wellcome Trust i4i, Wellcome Trust/Dept of Health - Health Innovation Challenge Fund), grant and proposal writing, project management, collaboration and relationship building, and facilitating knowledge exchange between academic and commercial sectors. Professor Paul O’Brien, CEO of Elaros, said “I am delighted to be able to welcome Sue to the Team and I look forward to working with Sue over the coming months. Sue's arrival at Elaros represents an important development in the Company's excellent relationship with the University of Sheffield”. 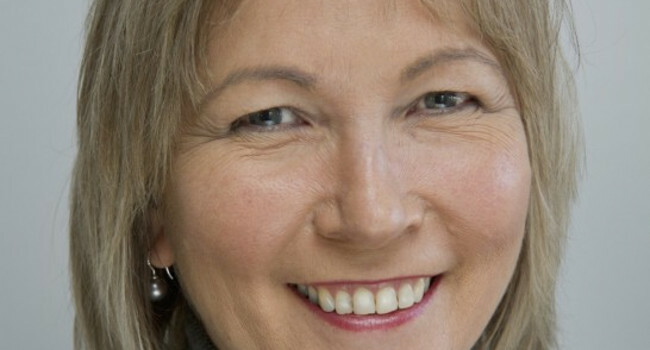 Dr Sue Smith said “I am very pleased to have this excellent opportunity to work with Elaros in a start-up environment involved in digital healthcare. 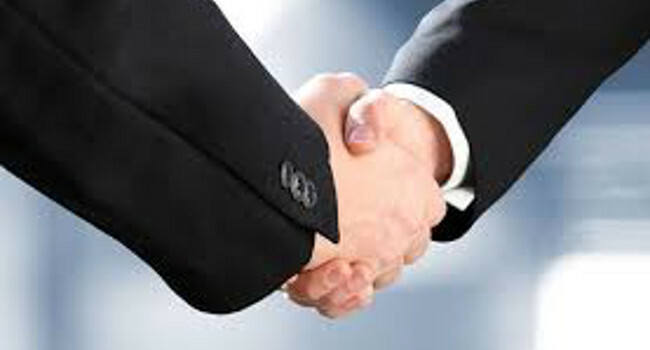 It will be exciting to identify and develop new opportunities for the Company”. SHEFFIELD (March 10th 2016) - Professor Paul O’Brien, Elaros’ CEO, took part in the recent Northern Powerhouse Trade Mission to Beijing, China. The technology-focused mission was geared to high growth companies keen to make contacts and create business opportunities in developing Chinese sectors, in Elaros’ case in Medical & Consumer Health Products. 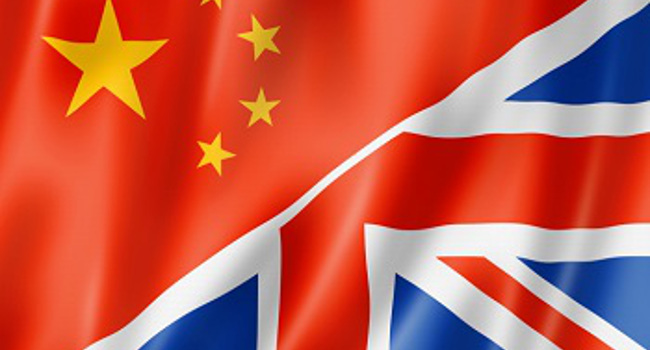 Organised by RTC North and UK Trade & Investment, the Trade Mission was supported in China by Coway International, the commercial company for Tsinghua which is widely regarded as the country’s top research university. Coway facilitated business meetings, sourcing market information, and demonstrations of Chinese research and development, as well as introductions to local and national technology clusters such as China Technology Exchange Co Ltd, Zhongguancun Medical Devices Innovation Alliance and Peking University Care Industrial Park. 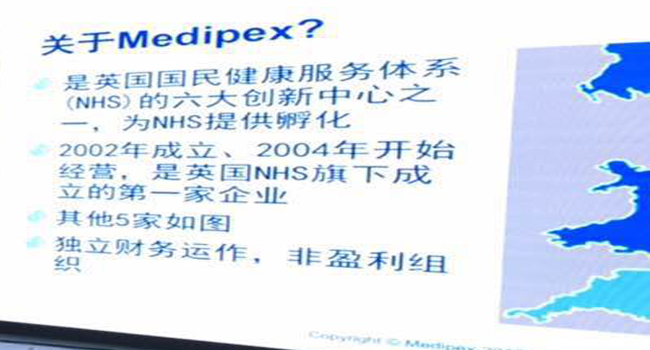 Prof O’Brien said “The mission was hugely valuable in making key healthcare connections in China, that otherwise would have been much more time-consuming to make. Our group was very impressed by the scale and ambition of Chinese plans in the medical sector, which provide a significant opportunity for Elaros”. SHEFFIELD (February 8th 2016) - Elaros has been awarded £5,000 from Innovate UK for a cyber security project with the University of Bradford. 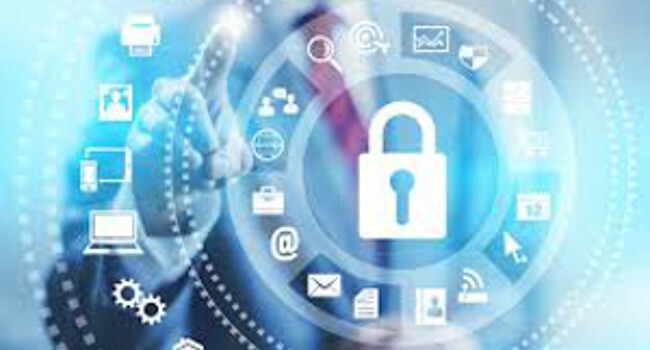 Funded through the Innovation Voucher scheme, the project focuses on how Elaros can best protect their customer data. 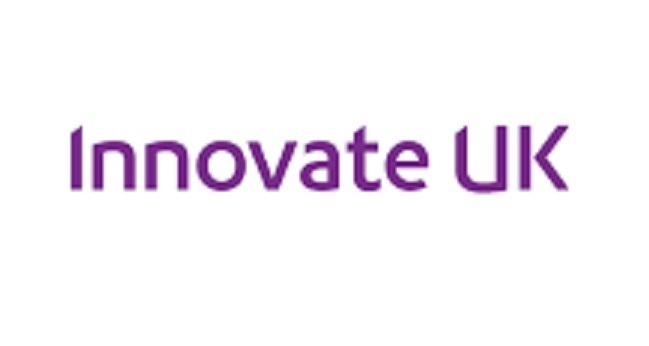 Innovate UK Innovation Vouchers provide funding to support businesses in working with external experts to gain additional knowledge to innovate and grow. This particular voucher is for cyber security advice to help protect businesses from cyber crime and hacking. Dr Angel Jimenez-Aranda, Technology Development Manager at Elaros, said “Our collaboration with the universities allows us to fully explore this area to ensure our technology platform is as well protected and secure as possible. The arrangement is ideal because the university teams bring extensive experience in computing and cyber security that augments our strong internal capability”. SHEFFIELD (January 20th 2016) - Elaros 24/7 Limited, a provider of innovative digital health solutions for the management and monitoring of people with long-term conditions, has closed its second investment round with £584,000 to take the business forward in 2016. The investment is made up of £100,000 from the Big Venture Challenge, £450,000 raised from private investors and £34,000 from Creative England. 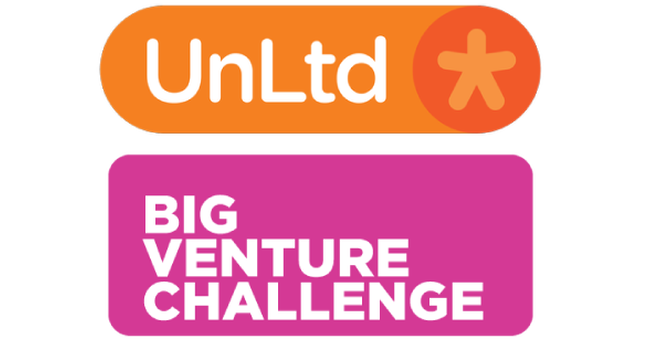 Managed by UnLtd, the Big Venture Challenge supports entrepreneurial individuals and organisations to deliver social impact at scale, and as part of its remit, Creative England backs SMEs to develop innovative digital health products and services for the health and social care market. The funds will support the completion of pilot studies of the Elaros Digital Bladder Diary within the NHS in Sheffield and the North-East of England and the further refinement of the service for a subsequent roll out. They will also underpin the development of new product concepts in the Elaros portfolio. Professor Paul O’Brien, CEO of Elaros, said “We are delighted to announce this key milestone for Elaros. This investment will allow us to continue making great strides in bringing our health self-management solutions to market and securing contracts with the NHS”. 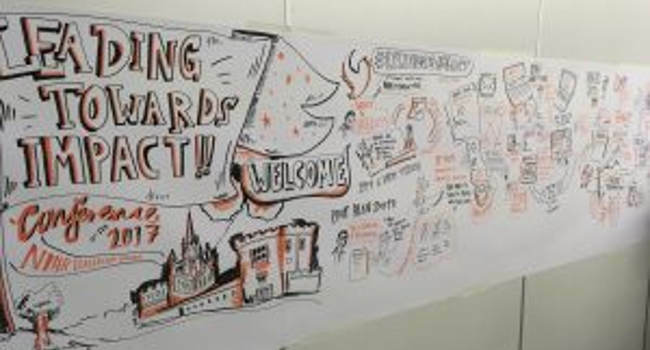 SHEFFIELD (April 24th 2015) - ELAROS 24/7 Ltd, a leading provider of clinical decision tools for the triage, diagnose and management of Lower Urinary Tract Symptoms, has participated in the 4th NWC Connected Health Ecosystem event. The event took place on the 23rd April 2013 at the Langtree Park Stadium in St Helens (Merseyside, United Kingdom) and had a strong clinical voice, providing delegates with an opportunity to present latest digital products aimed at empowering patients to manage their own health and care. 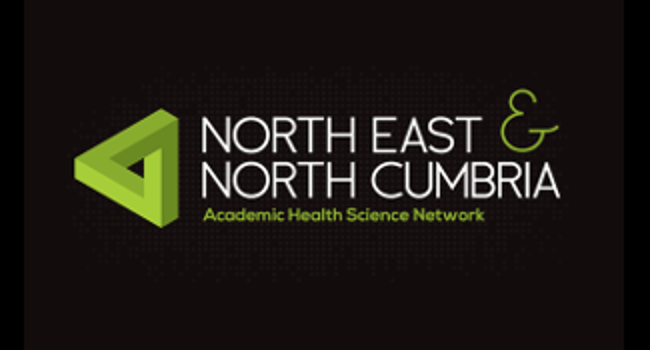 The event was organised by the North West Coast Academic Health Science Network in partnership with the European Connected Health Alliance. ‘Treatment and care of those with long-term conditions accounts for 70 per cent of the primary and acute care budget in England. Our company provides a patient-centred service that integrates and enhances the delivery of the patient pathway, enables compliance with NICE guidelines and reduces appointment and diagnostic costs” said ELAROS Chief Executive Officer, Paul O’Brien. The 4th NWC Connected Health Ecosystem event was a great opportunity to demonstrate how the new version of the ELAROS system enhances patient experience and facilitates the clinical decision. 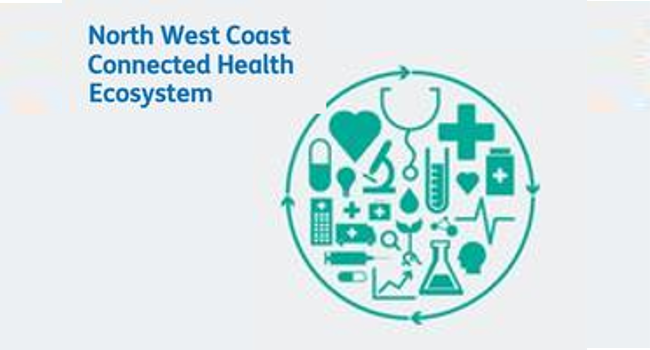 The North West Coast Academic Health Science Network (NWC AHSN) is one of 15 AHSNs established by the NHS in England during 2013–14. NWC AHSN covers a population of 4 million residents in Cheshire, Merseyside, South Cumbria and Lancashire. The Networks are a product of the Government’s Innovation, Health and Wealth strategy. Their primary role is to form a network of NHS organisations, universities and businesses and achieve measurable results in key delivery areas. AHSNs ensure that innovation is spread at “scale and pace” with consequent benefits for the health and wealth of individuals, communities, regions and the nation. SHEFFIELD (July 28th 2014) – Elaros has today announced the appointment of Paul Harris as Chairman with effect from August 11 th 2014. He succeeds Richard Clark who after being Chairman since the inception of the company announced in June his decision to step down from the Board. Paul Harris has held Chairman and non-Executive Director positions in various listed and non-listed SME companies across a wide range of industries and often at the earlier stage of their development. These companies have included digital imaging, IT, general engineering, quoted investment management and recently a healthcare company that provided specialist MRI diagnostic services to the NHS and private healthcare market. He has a deep and broad knowledge across all main functions of business gained over 35 years in senior management positions, and has a B.Sc in Engineering Science from Southampton University and an MBA from Cranfield Business School. SURREY (May 30th 2014) - ELAROS 24/7 Ltd participates in the workshop Entrepreneurial University, Engaged Industry & Active Government: Triple Helix Opportunities, hosted by the University of Surrey. SHEFFIELD (May 20th 2014) – ELAROS 24/7, an innovative new service that improves the initial assessment, diagnosis and triaging of patients with lower urinary tract symptoms (LUTS), has secured £96,000 of funding from the Academic Health Health Science Network for the North East and North Cumbria (AHSN NENC). Of 139 applications submitted to the AHSN NENC, ELAROS 24/7 was one of 45 projects that shared the £3,000,000 of funding. ELAROS 24/7 has created a hand-held electronic bladder diary (the size of a smart phone) (UroDiary®) that captures patient data and an uploader that is deployed to clinicians' desktop computers (UroUpload™) that extracts data from the UroDiary and transfers the information to an algorithm (UroConnect®) that sits on NHS system (N3). The algorithm provides immediate, accurate, simple and intuitive clinical direction. At a Stakeholder Event organised by the AHSN NENC at the Marriot Hotel in Gateshead on the 9 May 2014, ELAROS 24/7 was 1 of 7 projects that was showcased. This well attended event has provided ELAROS 24/7 with the opportunity to engage directly with both providers and commissioners on the ground and the Company is now working with potential partners on designing the roll-out and implementation of the rural pilot. 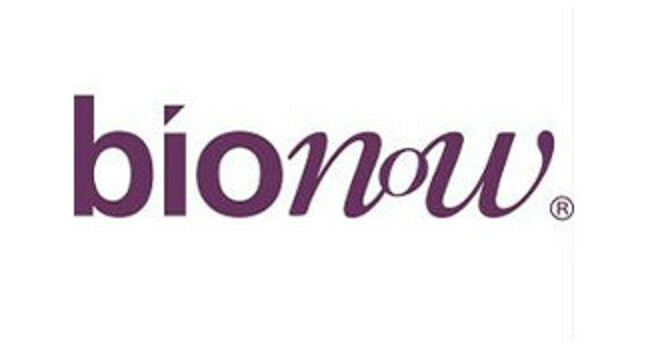 SHEFFIELD (December 14th 2013) – ELAROS 24/7, an innovative new service that improves the initial assessment, diagnosis and triaging of patients with Lower Urinary Tract Symptoms (LUTS), has won the Innovative Ageing of the Year Award at the Bionow Annual Awards 2013. ELAROS 24/7's Deputy Chairman, Martin Levermore MBE collected the award, sponsored by MIMIT / Edwards Healthcare, at Bionow’s Annual Awards Dinner held on the the evening of the 28 November 2013 at the Mere Golf Resort & Spa, Cheshire, attended by over 300 executives from across the biomedical sector. The event, which was hosted by Dr John Stageman OBE, Chair of Bionow and Dr Geoff Davison, CEO of Bionow, showcases the best of business growth, competitiveness and innovation within the biomedical and life science sectors across Northern England. ELAROS 24/7 has created a hand-held electronic bladder diary (the size of a smart phone) (UroDiary®) that captures patient data and an uploader that is deployed to clinicians' desktop computers (UroUpload™) that extracts data from the UroDiary and transfers the information up to an algorithm (UroConnect®) that sits on NHS system (N3). The algorithm provides immediate, accurate, simple and intuitive clinical direction. The award comes at the end of year that saw the UroConnect secure CE mark as a medical device and Elaros 24/7 winning the Big Venture Challenge in May 2013. ELAROS 24/7, based at the Sheffield Digital Campus, was also shortlisted in September 2013 for the The Annual Medical Innovation Competition in the Software and Telehealth category. SHEFFIELD (December 13th 2012) – The world’s first virtual assessment clinic in the field of Lower Urinary Tract Symptoms (LUTS) has been launched. ELAROS 24/7 is an innovative new way of carrying out initial assessment as well as the long term management and monitoring of patients with LUTS. LUTS refers to a range of urinary problems that can significantly impair the quality of life for sufferers. Effective treatment requires clinical evidence on frequency of urine volumes passed and urgency, which is typically recorded using paper diaries. Use of such diaries is infrequent outside specialist services due to limited experience in primary care and the difficulty of interpreting the raw, variable data. The ELAROS system consists of three parts – the UroDiary (to collect data), the UFlow meter (to measure flow rates) and the UroConnect (to manage and analyse data). Informed by NICE guidelines on the identification and management of LUTS, ELAROS 24/7 is used by the patient to record times, volumes passed, and the desire to urinate. Once recoded, data is downloaded to the GP’s computer system for data visualisation, interpretation and patient management. Professor Chris Chapple, D4D’s Urinary Continence Management Theme Lead, said at the launch event: “A bladder diary is an essential tool for clinicians assessing lower urinary tract symptoms – but a paper diary is not practical and often not reliable. “ELAROS 24/7 gives the clinician a huge amount of information and allows us to effectively and accurately evaluate and treat people. ” It is also predicted that the ELAROS service will make significant savings on pharmacology budgets of at least 10% on the drugs being used in this area of health, with a pilot being run in February 2013 to test these assumptions. Please get in touch by phone, email or twitter and a member of our team will respond to discuss your enquiry.